Lawrence Wilson Vines, 87, died on November 21, 2018, at his home. He was born September 2, 1931 in Carroll County. He was preceded in death by his parents, W. Buren Vines and Verna Wilson Vines and his sister, Nancy Strickland, and his brother-in-law Dudley Langford. He is survived by his sister Catherine Langford of West Point, as well as nieces and nephews. Mr. Vines graduated from Whitesburg High School in 1949. He worked at Arnall Mills in Sargent from 1949 until 1968, except for two years of service in the U.S. Army stationed at Hokkaido, Japan. He was a U.S. postal carrier working out of the Whitesburg Post Office for the last 16 years of his employment. 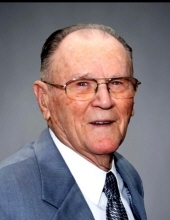 He was baptized into the Baptist church in August 1948 and attended Liberty Baptist Church in Douglas County. Mr. Vines joined the Masonic Fraternity in April 1955 and received his Grand Lodge of Georgia 60-year award in 2015. He was Past Master of Flint Hill Lodge #371 and was secretary there for 12 years. Funeral services will be held on November 24, 2018 at 2:00 p.m. at Martin and Hightower Heritage Chapel in Carrollton with Bro. Matt Butler and Bro. Robert McClung officiating. The family will receive friends from 12 p.m. until the time of the services. Interment will be in the Mt. Zion Baptist Church Cemetery. In lieu of flowers donations may be made to a favorite church, charity or Tanner Hospice. To send flowers or a remembrance gift to the family of Lawrence Wilson Vines, please visit our Tribute Store. "Email Address" would like to share the life celebration of Lawrence Wilson Vines. Click on the "link" to go to share a favorite memory or leave a condolence message for the family.